What are the Differences Between a Fire Alarm System and a Fire Alarm Monitoring System? 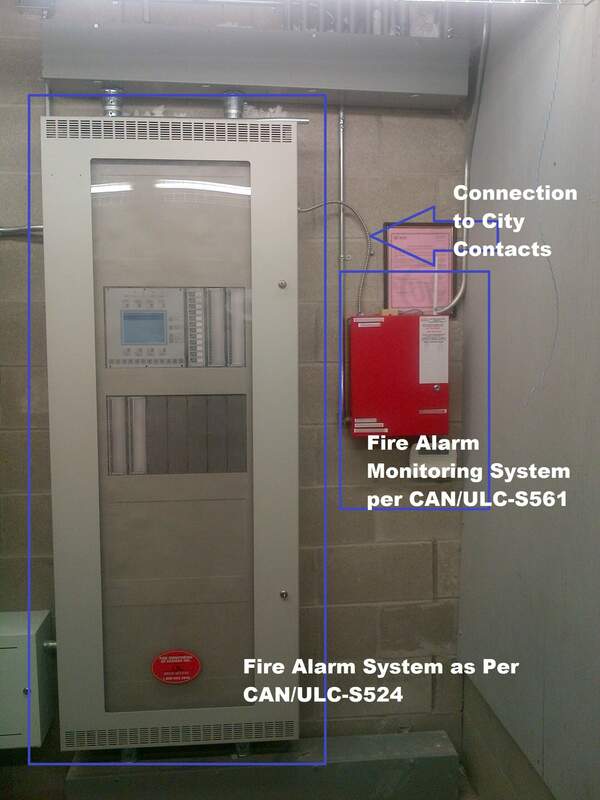 One of the most common issues we run into at Fire Monitoring of Canada, and this is from current customers and prospective customers, is that there isn’t a clear understanding of what the differences between a fire alarm system and a ULC-listed fire alarm monitoring system are. Many times, people expect that the fire alarm system in their facility is the equipment which also alerts the fire department of an alarm. 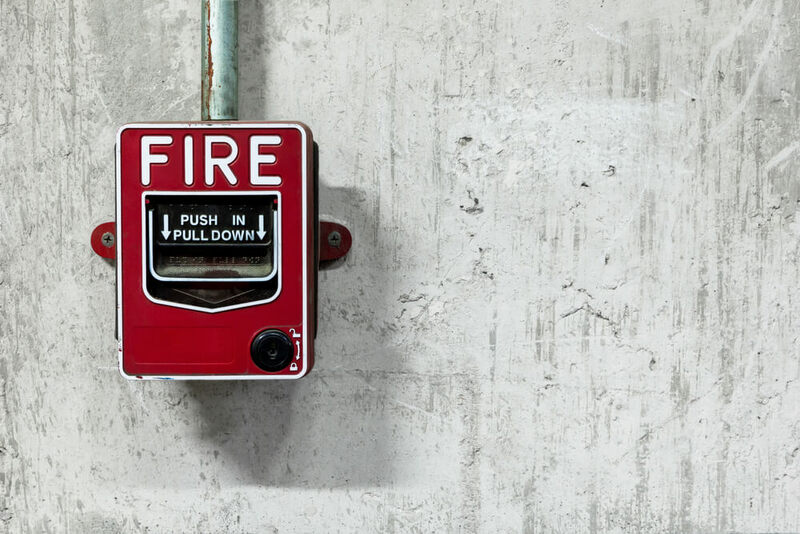 Without an understanding of how a ULC fire monitoring system works, many building operators and property managers think that the fire alarm system is already hooked up to the fire department. Likewise, it is difficult to count the number of times we are called by people who are developing new buildings and are looking for occupancy and have not accounted for the fire alarm monitoring in the building which is required to get an occupancy clearance for their building. Here, we try and clear up the differences between a fire alarm system and a ULC fire alarm monitoring system. Fire alarm systems are comprised of a main control panel, and all of the devices you regularly see installed in a building. This can include manual pull stations, heat detectors, smoke detectors bells and more. The “brains” of the fire alarm system is the main control panel, which can be installed at the front entrance to a building, or in an electrical room. If the panel is installed in a secure room – such as an electrical room, there will typically be a small panel known as an annunciator at the front entrance. This annunciator lets the fire department know where an alarm is coming from in the building when they arrive, or where a fire trouble signal is coming from in the building. Fire alarm systems are designed with one major purpose: to detect a fire and get people out of the building. The devices attached to the fire alarm system (such as a heat detector, smoke detector or pull station) activate the fire alarm panel in the event of a fire, and ring bells to get people out of the building. 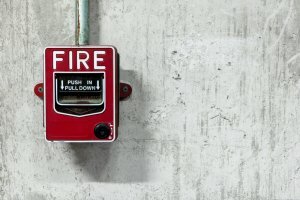 A fire alarm system on its own does NOT alert the fire department. This requires a ULC fire monitoring system, which is connected to a set of dry contacts in the fire alarm panel to relay alarm information. Fire Alarm system control panels can look similar to the picture that leads this post. As we noted above, the fire alarm monitoring panel monitors the fire alarm system through dry contacts. Typically, we will receive a general fire alarm from the building (we do NOT receive specific zone information from your fire alarm system), a general trouble condition (which indicates a problem with your fire alarm system) and a general supervisory condition (which would indicate an issue with your sprinkler system – if you have one). ULC fire alarm monitoring panels transmit alarms through a variety of means, depending on whether or not they’re classified as active or passive (read more about that in this blog post). Typically, in order to comply with ULC-S561, fire alarm monitoring panels will communicate through some combination of phone line, internet or cellular (more info on that here). ULC Fire alarm monitoring systems are separate from fire alarm systems, and we hope we’ve cleared some of that confusion up here. If there’s any further questions, please no not hesitate to contact us. Comments Off on What are the Differences Between a Fire Alarm System and a Fire Alarm Monitoring System?